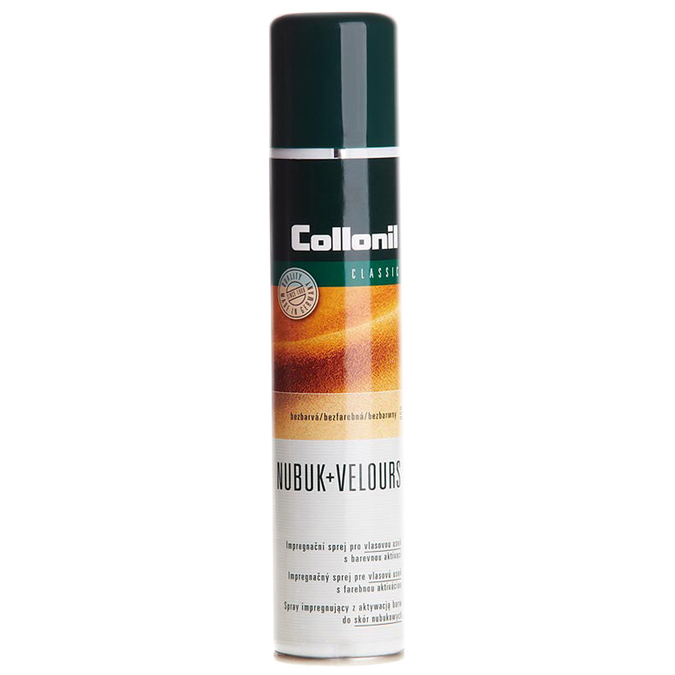 Colourless spray for impregnation and care of honed leather and textiles. Removes fat and gloss off suede leather (and artificial velour). Also suitable for TEX materials. Comb the leather after use of the spray with a crepe brush or Collonil Cleaner cube.